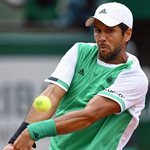 Experience counts a lot in tennis and Fernando Verdasco made use of it to eliminate German Alexander Zverev, a player that many in the media consider one of the sport’s future stars, from Roland Garros competition. Zverev, 20, already signed by Adidas and Peugeot among other brands, recently won the Italian Open against Novak Djokovic, but lost to Verdasco in four sets. The Spaniard won the first-round match 6- 4, 3-6, 6-4 and 6-2 in 2 hours and 53 minutes. Verdasco, who broke Zverev’s serve eight times, was vastly superior to his opponent. The German was visibly off his game as he had 59 unforced errors. Verdasco is the typical player who regardless of his ranking, nobody wants to face him in the initial rounds of Grand Slams. Last year he defeated Rafael Nadal in the Australian Open and has 23 victories against members of the ATP’s ‘Top 10’. Verdasco, 37th in the ATP ranking, will face local player Pierre-Hugues Herbert in the second round of Roland Garros. Verdasco is the 11th player from Spain to advance to the second round of the French Open, the second ‘Grand Slam’ tournament of the year. Meanwhile in the women’s side of Roland Garros Spaniard Carla Suarez advanced to the second round on Tuesday with a win against Greek Maria Sakkari by a score of 6-4 and 6-2 in 1 hour and 22 minutes. Suarez, who started trailing 1-4 in the first set, won five straight games to claim the set. Once with the advantage on the scoreboard, the Spaniard calmed herself, and played her best game to display the difference in the ranking and experience at Roland Garros. While Suarez has twice reached the quarterfinals of the French Open, Sakkari was making her debut this year at Roland Garros. Suarez will play in the second round against Romanian Sorana Cirstea, who eliminated Chinese player Peng Shuai after winning 6-3, 6-1.